Aki Kaurismaki becomes a patron of the Russell Tribunal on Palestine. Aki Kaurismaki award winning screenwriter and film director becomes a patron of the Russell Tribunal on Palestine. 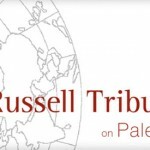 2 hours film about the New York session of the Russell Tribunal on Palestine. Including testimonies from Ilan Pappe, Ben White, Phyllis Bennis, The Corrie family and many others. Manu Chao – singer, songwriter, musician becomes a patron of the Russell Tribunal on Palestine.